Music producer Dr. Dre has bought the Los Angeles estate of New England Patriots quarterback Tom Brady and wife Gisele Bundchen for $40 million, according to TMZ. The 18,298-square-foot mansion, located in the hills above the Brentwood neighborhood of Los Angeles, is situated on 3.6 acres of pristine canyon land, beyond the noise and traffic below. Designed by well-renowned architect Richard Landry and his Landry Design Group, the estate includes seven fireplaces, five bedrooms, nine bathrooms, a sauna, a gym and a library. On the property there are waterfalls, an infinity pool and ponds. The grounds are irrigated with a gray-water system. 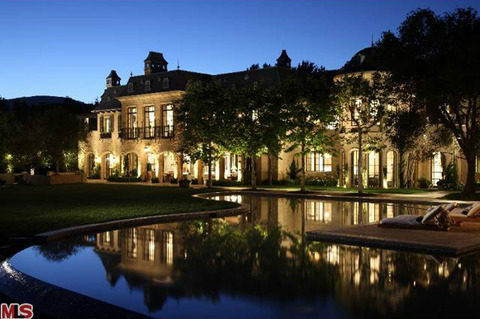 Brady and Bundchen paid $11.75 million for the property in 2008. Brady is considered one of the NFL’s top quarterbacks with five Super Bowl appearances and three victories under his belt. The Brazilian-born Bundchen is one of the world’s leading supermodels, gracing the pages of fashion magazines throughout the world. Dr. Dre, whose real name is Andre Romelle Young, is the founder of Beats Electronics, which was recently bought by Apple for $3 billion. He is listed in 56th place on Rolling Stone’s “100 Greatest Artists of All Time.” Dr. Dre has produced many artists, including Snoop Dogg, Eminem, The Game and 50 Cent and has a net worth of $550 million, according to Forbes.